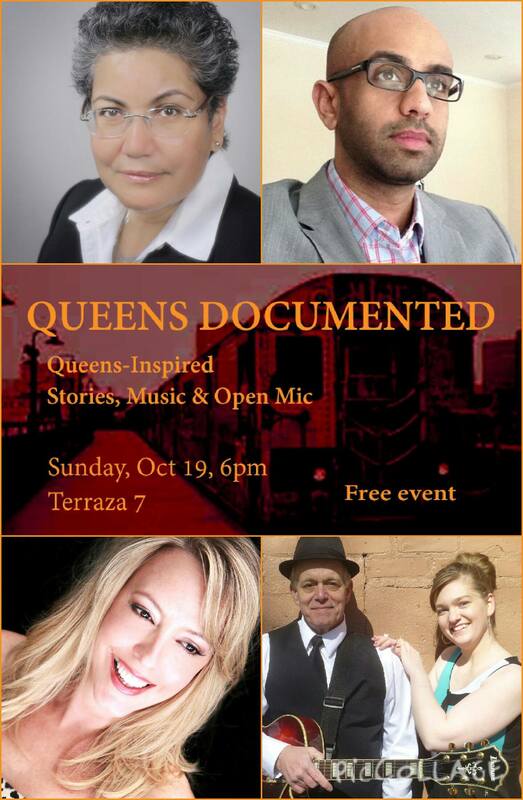 We are pleased to present the second installment of “Queens Documented,” our new Queens-centric storytelling and music series celebrating the beautiful borough and diverse residents of Queens, happening quarterly at the incomparable Jackson Heights institution Terraza 7. 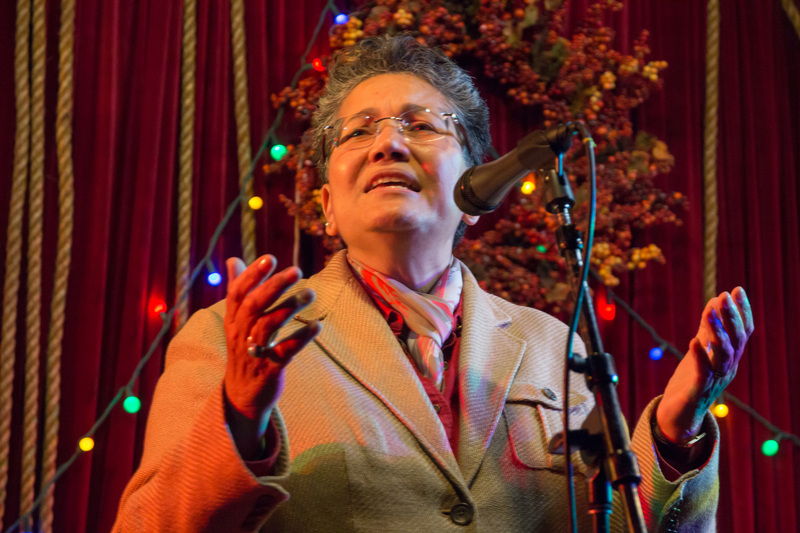 Share your own stories and memories in our Open Mic! 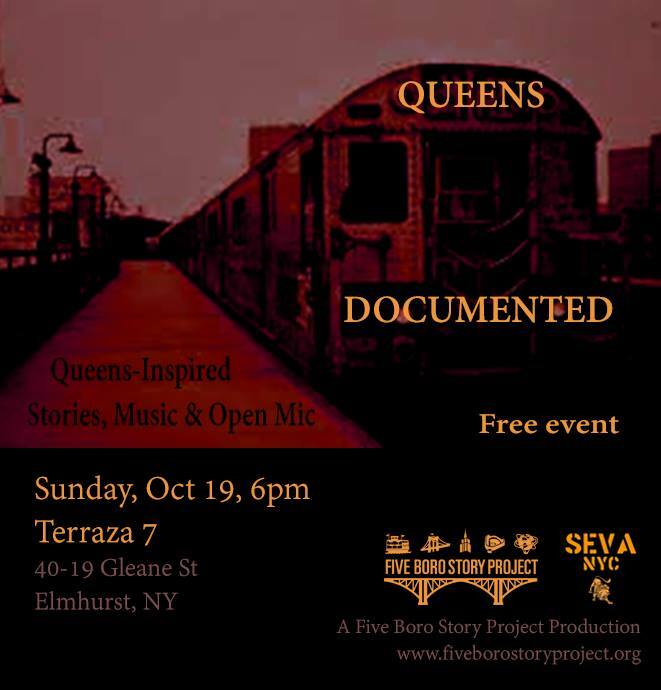 “Queens Documented” is produced in partnership with SEVA. Terraza 7 is located at 40-19 Gleane Street in the heart of Queens, between Elmhurst and Jackson Heights, two locations containing the most diverse population of immigrants on the planet. Take the 7 train to 82nd St/Jackson Heights. View “Queens Documented II” photos HERE.